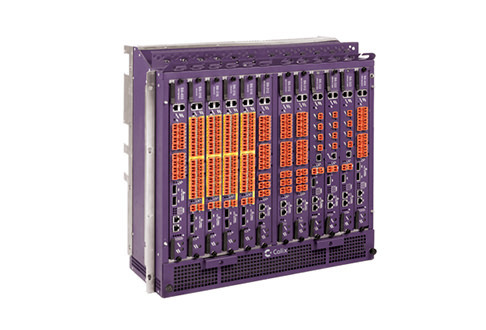 The Calix Occam B6 Access Node is a field-proven, triple-play service support tool that can help you maximize both copper and fiber broadband networks. It’s a smart fit with three chassis sizes and the ability to be hardened for central office and data center use, or as a remote terminal. Worldwide Supply stocks all combinations of refurbished Calix Occam B6 nodes, so you can get the right equipment you need to fine-tune your network or simplify your next expansion, all at an affordable price compared to traditional OEM rates. Each model supports a nodal design framework that allows your engineers to properly grow your system to scale to subscriber demands, whether you’re serving 10 or 10,000. The B6-012 chassis is built to improve installation success and reduce turn-up time with intelligent interconnection support so you can connect right into your physical backplane. Models provide up to 20 1000BaseT Gigabit Ethernet ports and 12 service line card slots. Your B6-006 node is built for medium-density networks with six line card slots and support for as many as 288 VDSL2 or Active Ethernet subscribers. It operates within almost any configuration and will use self-discovery tools to automatically match network configurations when inserted. The B6-001 chassis is designed to work with a variety of B6 cards so you can use it interconnected with other chassis or as a standalone option. Intelligent interconnection configuration makes the process simple, and each chassis is built to support up to 48 Active Ethernet or VDSL2 subscribers. Learn more about your options and our selection through the menus below.